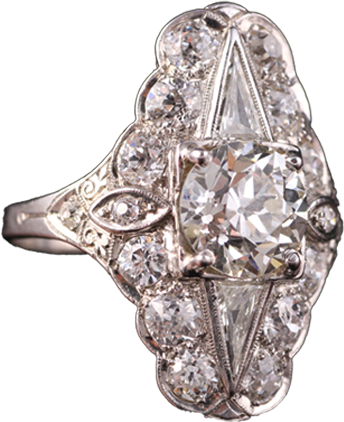 Our vintage and estate selection is very popular at our store due to the remarkable quality and beauty of these items. 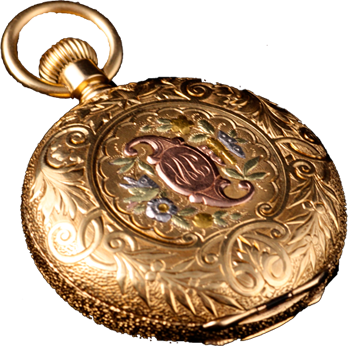 Vintage pocket watches, brooches and diamond necklaces are just a few of the unique and beautiful items we carry. When you place one of these works of art in your hand, you can almost imagine the person who first decided to buy the piece fifty or a hundred years ago. 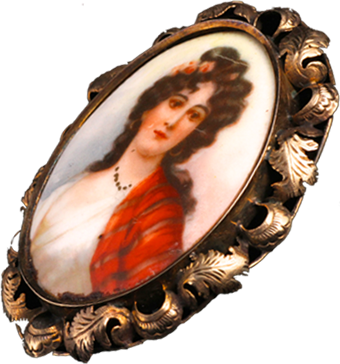 Our selection is constantly changing, and new items arrive almost daily, so feel free to drop by the store to browse or buy, and feel the personal history of these wonderful pieces.